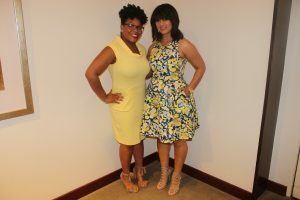 When you walk into the Neiman Marcus Cafe for the Boss Women Who Brunch event, it is obvious that every woman there is extraordinary. From their attire to their passions to their talents and thirst to make a difference in the world around them, these women are Boss. Status quo won’t due. Ordinary isn’t enough. Settling for less than greatness is unacceptable. I was blessed beyond words to be in the presence of these amazing game changers. Before brunch, there was a powerful ice breaker that allowed women to get to know their neighbors. 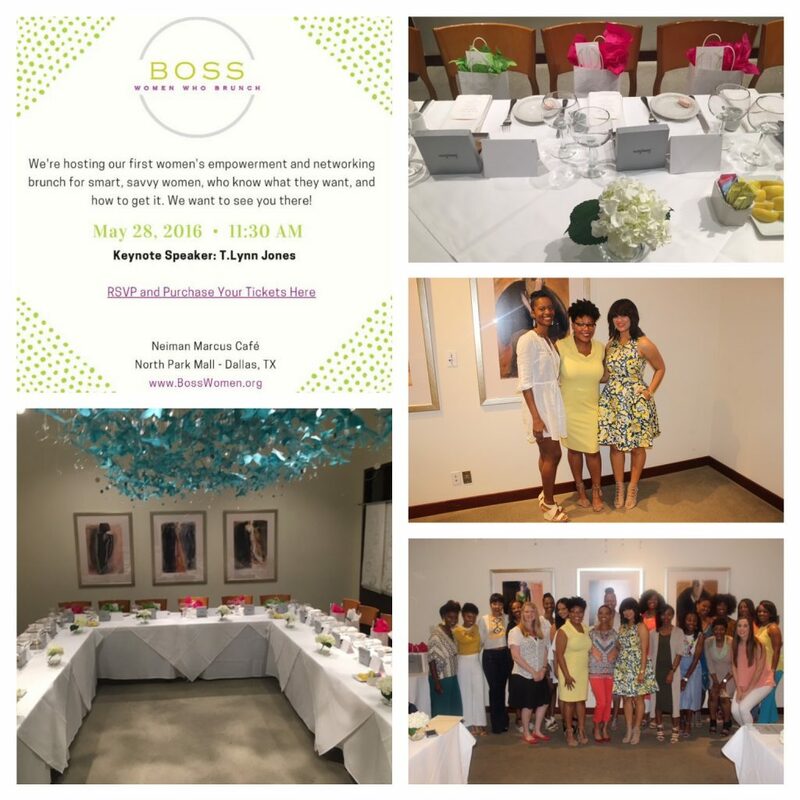 The women were given the chance to introduce the women they met by telling everyone what makes them Boss Women. During the meal, you could hear conversations being had on various topics such as career, special interests and family. Marty and Ashley did an excellent job of creating an environment where genuine connections could be made. T. Lynne Jones gave us her “Vowels of Life” which serve as her personal declarations for success. Below is the complete list. You will be inspired as much as we were. A – Assertive – Know your stuff without being aggressive. E – Example – Are you leading by example? Are you telling people one thing and doing another? Do people want to follow you? I – Influence – Determine how you are influencing someone else’s life. O – Opportunity – Are you seeking opportunities for yourself? Are you putting paths in place to develop those opportunities? U – Understanding – Know who you are as a woman, a professional and a minority. What makes you different from the person sitting next to you? 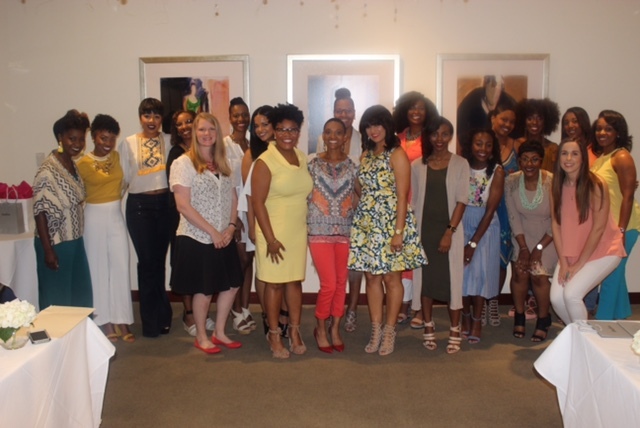 Boss Women Who Brunch will host their next event on August 13. The next event may not be a brunch, but will be just as impactful. In the meantime, you can stay connected with Boss Women through their Facebook group by the same name and by following them on Instagram. Vonna, thank you so much for sharing the day with us and being the boss that you are by creating this amazing forum for women. This is such a well written and inspiring article. Thank you! !